Founded in 1987, on Roosevelt Avenue in the vibrant heart of Jackson Heights and then expanding into the Bronx, the law firm of Peña & Kahn has grown to be one of the most respected law firms in New York City. Pena & Kahn fights for the rights of everyday citizens like you who have been unjustly injured due to the negligence of others. Strengthened by our reputation in the community among our clients, our colleagues, and in the courthouse, Pena & Kahn has become one of the most successful and well known law firms in the region. With 17 attorneys on our staff as well as 40 other staff members we have the necessary combination of experience, tenacity and compassion needed to fight for your rights. The firm is one of New York's leading personal injury litigation groups today, with three offices to serve clients across the region. Our mission at Peña & Kahn, PLLC, is to obtain compensation for people who have been seriously harmed through the negligence of others. Motor Vehicle Accidents: Whether you were in a car, a bus or a truck, on a motorcycle or a bicycle, or just walking down the street, we represent clients who have been injured in any type of transportation accident. 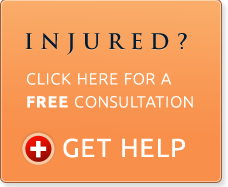 Other Personal Injury Claims: We also handle many other types of personal injury claims, including injuries sustained in schools, nursing homes and day care centers, injuries resulting from assaults and abuse, devastating injuries sustained as a result of a drunk driver as well as brain injuries and birth trauma. Peña & Kahn is also experienced in the area Aviation Law. Our firm successfully represented families of victims of American Airlines flight 587 which crashed in Belle Harbor New York shortly after take off from J.F.K. airport on November 12, 2001. Aviation litigation involves complex legal issues and it is important to have a lawyer who understands those issues. We stand up for people of every age and in every situation, from a baby harmed during a birth trauma to a grandfather suffering daily abuse in a nursing facility. In the case of wrongful death suits, we represent the families of those who perish from their injuries. If you or a loved one has been injured due to the negligence of someone else, our attorneys may be able to obtain compensation for you. Call us, or use this online e-mail form. 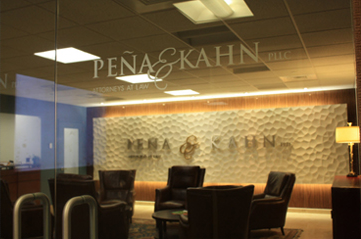 Peña & Kahn, PLLC, practices personal injury law in the Bronx, Queens, New York County and Lower Westchester County. They serve clients who live or do business in Jackson Heights, New Rochelle, Yonkers, Brooklyn, Manhattan and New York City.